The apartment is located in Coves Noves with superb views across to Na Macaret and Addaia. It is a ground floor apartment in a quiet complex with its own private garden (ideal for children) and patios on three sides ensuring sunshine throughout the day. The shared pool is a very short walk from the end of the garden. The beautiful sandy beach of Arenal D'en Castell is one kilometre away and there are tennis courts, restaurants, cash points, and a bouncy castle park close by. Son Parc Golf Course is only a ten minute drive. The apartment comes with virtually everything you need for your holdiay and a weekly change of linen and towels is included in the rental. There are two bedrooms, one double and one twin, and there are additional folding beds and bedding available, including a sofa bed in the lounge. With fans in every room, a collection of books and a dvd/video player the apartment offers good value for money for those looking for a quiet holiday on this beautiful island. The apartment may be available out of season or at short notice. Unfortunately limited TV reception is available at the moment. We do not supply Wifi but the nearby Hotel Marina Parc has a free wifi service which you can just about pick up from our property. A lovely place to stay, a quiet location but within easy reach of amenities and the beach. Very roomy appartment but is in need of a little refurbishment. The lady in charge of the cleaning was very helpful and easily contactable. We would definitely recommend staying to any of our friends. What a wonderful apartment. spacious and airy, lovely and clean. we ate in most nights as I love to cook, We had everything we needed for preparing beautiful food. we had the pool to ourselves . The beach was so pretty .Sunshine from early morning until late. Loved it didn't want to come home. we will definitely be returning.. Thanks Simon. We have tried to make the plane as homely as we can and Coves Noves is such a great spot! The apartment was spotless and almost everything we needed was provided for. The only things we needed to provide was soap and washing up liquid. The communal pool was clean and never busy. The apartment has a great sea view and garden on three sides. The nearest beach (a short drive away and with free parking) is the best in Menorca - white sand that gently shelves into crystal clear water. The only thing missing was a wifi connection, although the bars in Arenal can provide (forget the nearby hotel's which is poor at best). Highly recommended. Thank you for the feedback. We are glad you enjoyed your stay and hope you return soon. Coves Noves is a quiet area of mostly apartments on the outskirts of Arenal D'en Castell, a bustling holiday resort. with beautiful, safe beaches. It is 20 minutes from Mahon airport and 25 minutes from the main town of Mahon. 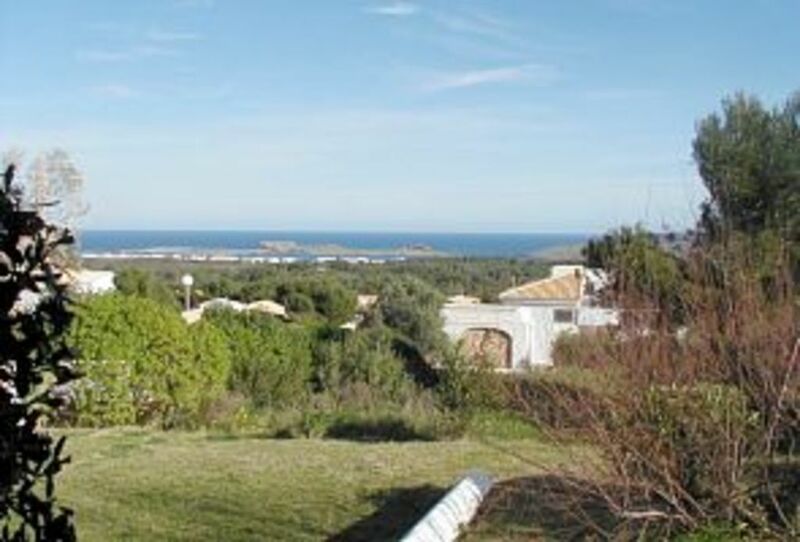 All of Menorca is easily accessible from this location. The area around the apartment is quiet but benefits from being around 300 meters from bars, restaurants,shops, supermarkets, a play area for children and pubs like Backgammon Bar. There are also many beach bars and a small train that runs throughout the area of Arenall Den Castell, Port Addaia (where you can rent a boat to see the island) and idyllic Na Macaret. The beach is about 800 meters away and sits in a large cove and benefits from gentle sloping sand. At the beach you can hire pedallos and it is ideal for snorkeling. 8km way is the islands only golf course, the 18 hole Son Parc resort. Golf: Nearest Course - Son Parc.